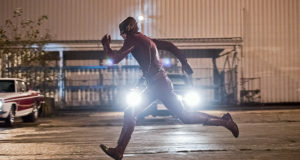 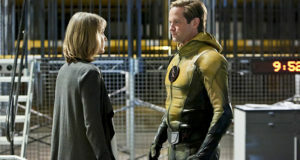 The CW has set an air date for the Season 2 finale of The Flash. 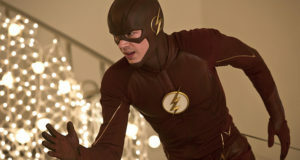 Andy Mientus will be returning as the Pied Piper in the Flash episode "Flash Back." 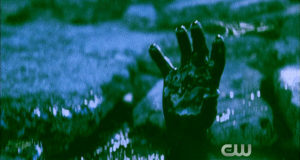 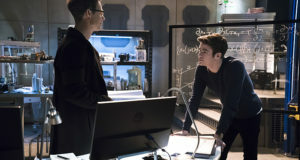 Executive Producers from The Flash preview "Welcome to Earth-2"
Preview clip for the Flash episode titled "Fast Lane"
An overly dense time travel story answers a lot of questions, but has trouble handling our main hero's arc. 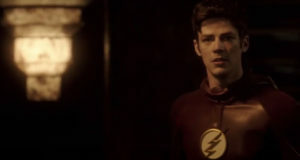 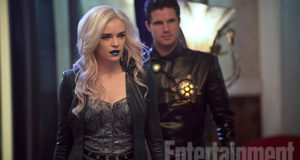 Preview images for the Flash episode titled "Fast Lane"
Screen captures from the extended promo trailer for the Flash episode "Fast Lane"
Extended preview trailer for the Flash episode titled "Fast Lane"
Killer Frost and Deathstorm are coming to The Flash.